Toyota drivers Nasser Al-Attiyah and Giniel de Villiers have both blamed a regulation prohibiting them for using an on-board tyre inflation/deflation system for their tough fourth day on the Dakar. 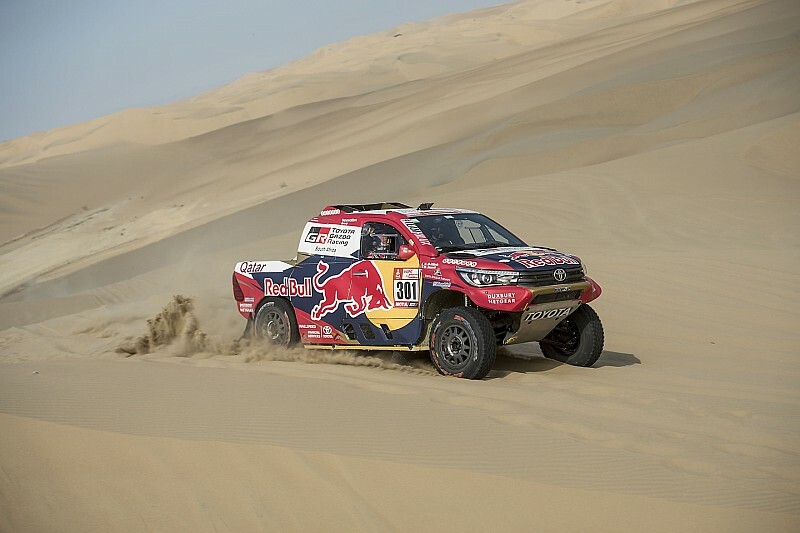 Both of the Hilux drivers struggled through the soft sand on the fourth stage, with a combination of punctures and stoppages putting huge dents in their campaigns. 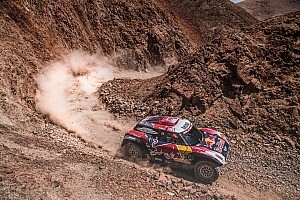 Al-Attiyah started the day third outright after winning the third stage, but dropped nearly an hour relative to stage winner Sebastian Loeb and is now fourth, 58 minutes off the lead. De Villiers, meanwhile, was fifth before the start of the fourth day's play, but now sits down in eighth, 1h21m off leader Stephane Peterhansel. According to both drivers, the primary issue was balancing tyre pressures between the soft sand in the dunes, which require low pressures, and the rocky road sections that can easily damage under-inflated tyres. The Toyota crews are forced to strike that balance the hard way, thanks to a regulation banning on-board tyre inflation/deflation systems for four-wheel-drive cars – while the Peugeot buggies are free to use an on-board pressure system. "It was very, very difficult from the beginning because we needed to run a little bit lower pressures, you know, and we you come into the road section with low pressure you will get punctures very easy," said Al-Attiyah. "We had two flat tyres. We tried to keep the pressure very high in the tyre, but it wasn't really working in the sand dunes. It was very, very difficult; we got stuck two times and lost a lot of time. "For the buggy [the on-board system] is the biggest advantage. If you see today, four buggies are at the front. 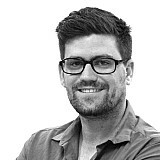 "For us we can't run low pressure, because you get puncture more easily. 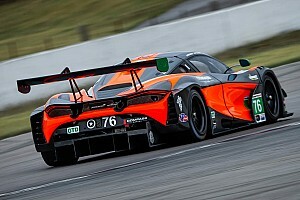 The car is a really good, but the regulation is not fair." 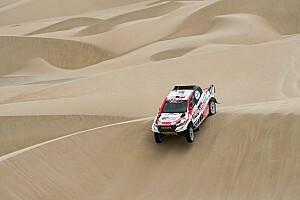 De Villiers, who dropped more than 73 minutes on the fourth stage after getting bogged in the dunes, agreed that the regulation made life hard on the four-wheel-drive entries. 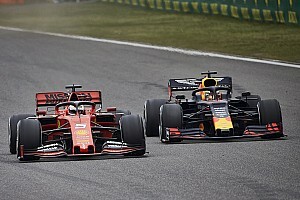 "We got two puncture because obviously we were running the pressures a little bit lower, because we can't inflate and deflate from inside the car like the Peugeot can," he said. "So we had to run low pressure to cross the dunes, because it was not possible. "The car was fine, but it's a pity we can't have on-board inflation and deflation, because there were so many rocks at the beginning. "I needed to run high pressure. But because we know the sand is soft and there are so many dunes, we're running low pressures, and we were getting punctures.